Surprisingly, one thing I really enjoy doing is taking care of my fine jewellery. 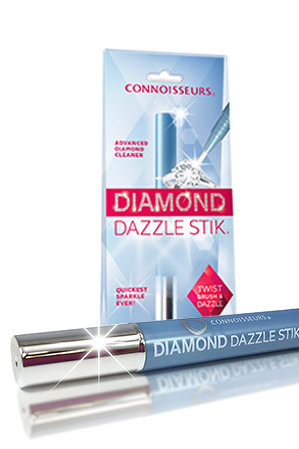 If you wear silver, gold or diamonds every day (particularly rings), they pick up soap, lotions, oils, dirt, dust and fluff from your daily life, and over time they become dull. Silver in particular oxidises over time. I enjoy cleaning my jewellery because afterwards it really looks nice and sparkly! I usually only wear rings (1 or 2 per hand) and maybe a bracelet, because at work I have to wear an ID card on a lanyard and it interferes with necklaces. Privately I don’t wear any jewellery except a pair of gold studs in my ears. I never remove them. I used to wear my rings 24/7 but now I take them off when I get home and put them on again just before I go to work. I tend to wear the same ones for a couple of weeks and then switch. I know people recommend using brandy, toothpaste or other things to clean jewellery, but I have always stuck to diluted dishwashing liquid or cleaners made specifically for jewellery. My go-to brand for proprietary cleaners has always been Connoisseurs. They are readily available worldwide (even in the tiny African town I come from! ), easy to find on Amazon, the prices are good, the products work extremely well, you can trust them, and they are very innovative. I had one of their sonic cleaners years ago and it worked very well. They also do a really nice travel jewellery pouch that contains anti-tarnishing properties. One thing I have always been wary of though, has been cleaning costume jewellery. It is often gold-plated with non-precious stones. I have been afraid of damaging or loosening the stones, or stripping the plating, so I tend to wear costume jewellery until it looks shabby and then dispose of it. One reason I prefer to wear real gold is that it is very durable (and a good investment). Silver and gold also looks great once you have worn it for a while and it develops that patina glow. 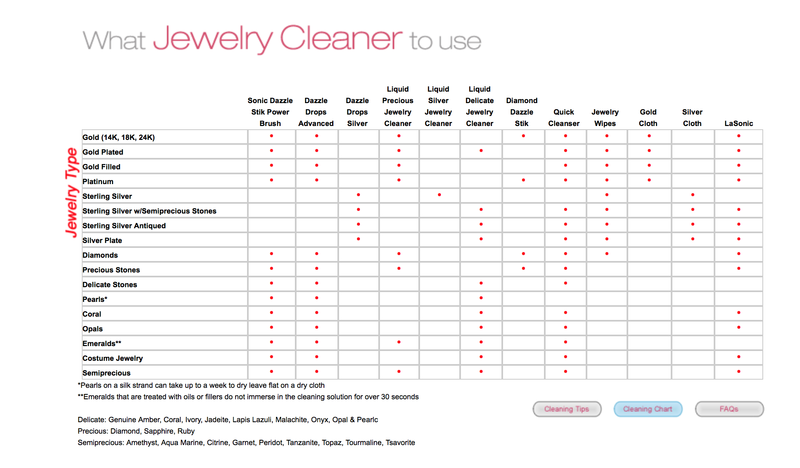 I see though, that Connoisseurs has a chart showing which jewellery can be cleaned with what cleaner and you can, indeed, clean costume jewellery using some of their cleaners. They also show which stones are more delicate than others. This is really helpful for me as I don’t have clue about the properties of stones that are not diamonds, emeralds, sapphires or rubies. They have some interesting products on their site plus useful cleaning tips for more unusual stones and a fascinating blog. As always, I am not affiliated in any way, just a happy customer who pays for everything with their own hard-earned money! ‹ Guess what this jewellery is made from?